This is yet another superb hybrid from the folks at Borneo Exotics! 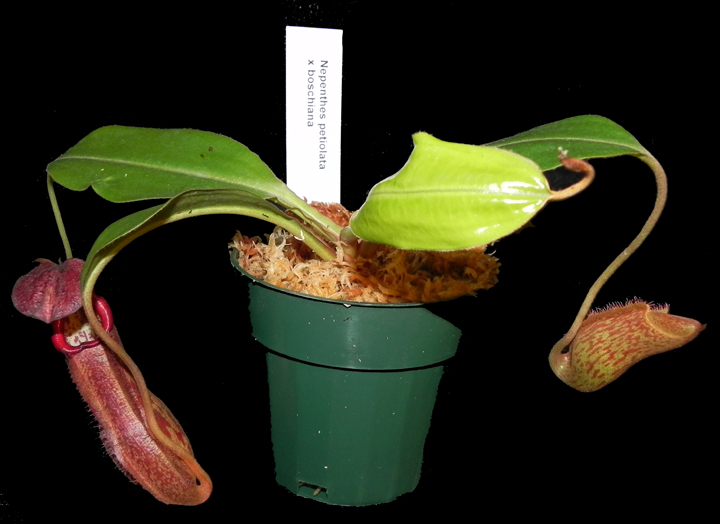 Nepenthes petiolata usually produces solid cherry-red pitchers, while the N. boschiana parent has highly contrasting pitcher and peristome markings. WOW! Large plants 6 to 12 or more inches in diameter, shipped potted in 6-inch hanging baskets, not bareroot as you find with many other suppliers. Water and enjoy!